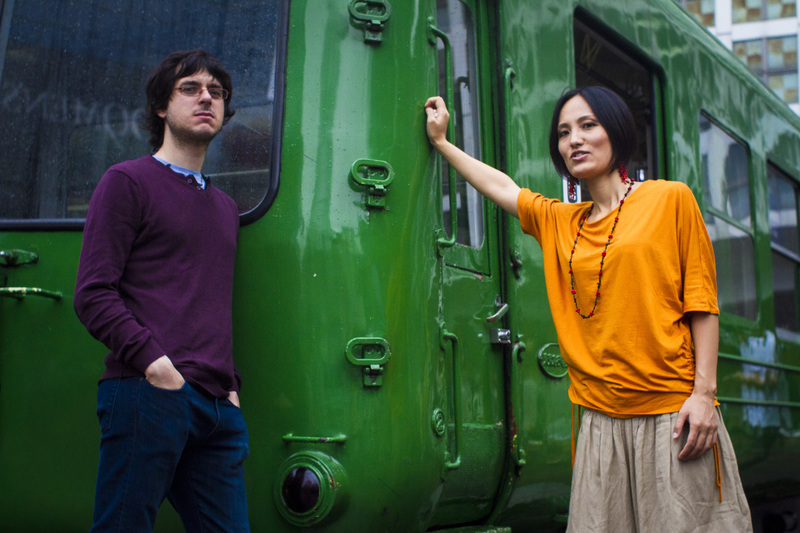 World jazz African inspired duo AfuriKo was born in Paris in 2010, of the encounter between Japanese percussionist Akiko Horii and Anglo-French pianist and composer Jim Funnell. Mostly rooted in the vast and spellbinding traditional repertoire of West Africa, AfuriKo’s spontaneous improvisations emerge from infectious world grooves, subtly woven into full-fledged arrangements and compositions. The duo has performed in Japan (in numerous clubs as well as at the Kanazawa Jazz Street festival in 2013 and 2014), Europe (United Kingdom, France, Germany), in particular at renowned jazz venue Sunset (Paris, 2014) for an album launch concert, and more recently in New York (2015) to promote the release of their debut CD (On the Far Side, 2014), which received funding and was produced in partnership with SACEM (French performing rights society). AfuriKo at Terraza 7. Thursday May 28th, 2015 at 9:00 pm.